What Do You Get Out Of Using A Double Edge Safety Razor Over a Cartridge Razor? Do You Shave Your Head On A Regular Basis? Is Investing In All The Tools That Come With It Actually Worth It? What’s The Deal With All The Accessories? Their popularity has definitely taken off over the past couple of years. 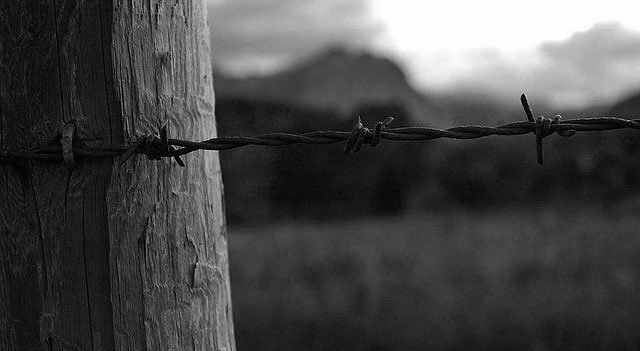 However its worth mentioning though that they do have some downsides to them as well. So when deciding whether to pick up one up its important to know what you are getting yourself into, when deciding on whether to use one on a daily basis. 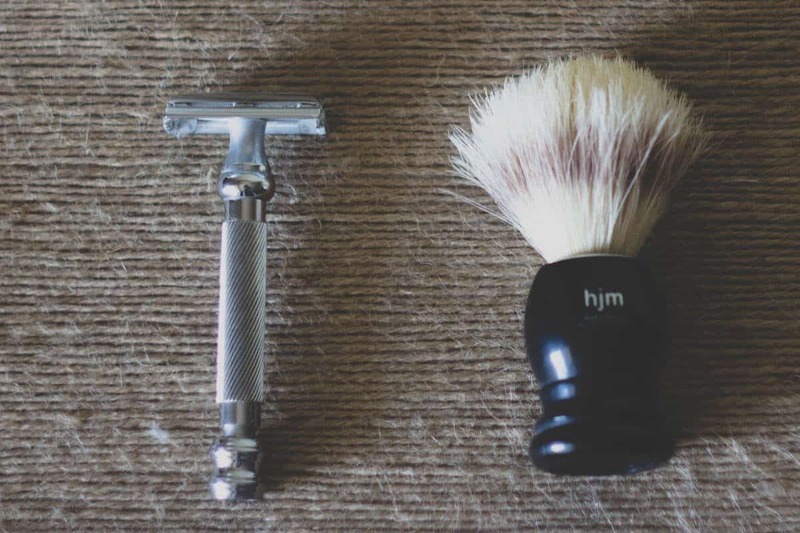 When it comes to using a double edge safety razor compared to your average off the shelf cartridge razor there are some major differences between the two. Initially one would think since they are both razors, they are technically the same right? Wrong – thats about where their similarities end. When using a double edge safety razor you get a lot more control and better shave that you might ever experience with a cartridge razor. You see when you use a cartridge razor be it 3 or 5 blades (or anywhere in the middle), those are several blades that are being dragged across your face at any given time. When you drag all those blades across your face there are a couple important things that are going on. First off, when a cartridge razor has several blades, they are going to me much more likely to get clogged. Whereas with a double edge safety razor you only have just one blade that you are working with. With that one blade – there are no chances of clogging to occur. But what’s so bad about clogging, you can just rinse it under water and keep going right? You see when the blades are caked with your discarded hair and shaving cream, but also sebum oil as well. That is the natural oil that your skin produces on a daily basis. This is a vital part of your body that keeps your skin well hydrated and looking healthy. 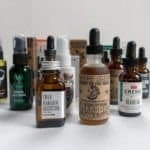 In addition to stripping away the natural healthy oils in your skin, a cartridge razor is also taking off quite a bit of skin particles as well. 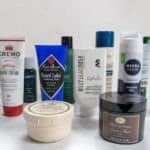 When all of this adds up you are opening yourself up to all sorts of problems – namely razor burn and also perhaps an uptick in acne production as well. Contrary to a cartridge based razor, a double edge safety razor may help reduce the risk of that dreaded post shave razor burn. There are a few details at play here though. First off, when using the double edge safety razor – its all about technique. When you go across your face you want to make sure it is at a flat surface (don’t pull your skin too taught). When making the strokes with your double edge safety razor, you want to approach your skin at about a 30º angle. This is the optimal angle to go at in order to both cut your hair closely and help prevent any sort of skin irritation and post shave razor burn. If its your first time ever with a double edge safety razor, its a learned process that does take a fair bit of time getting used to it. The other part of the post shave razor burn as I was eluding to earlier was the fact that many of your pores are wide open when you are shaving, and when passing a clogged cartridge razor stuffed with oils, shaving cream, and hairs – your chances of filling the pores up with bacteria are much greater – of which causes general skin irritation. While a double edge safety razor is by no means perfect – it can help many guys out with reducing their razor burn. A good thing to always have on hand when shaving whether its a double edge safety razor, cartridge razor, or even a straight edge razor is a decent aftershave. You don’t have to break the bank for this stuff, but I always recommend a witch hazel based aftershave. Witch hazel is an all natural ingredient that acts both as an antiseptic (kills of bacteria), and an astringent (closes up pores). So with witch hazel is splashed on to your face you are giving it the unequivocal 1 + 2 punch. Much like the problems that I outlined about razor burn in the section above hold true for combating acne. There are a ton of guys who experience acne after shaving. A cartridge razor is not only dragging across the excess oils and dirt from your face, but its dragging them right into pores that have been opened up during the regular shaving process! This is completely bad news for anyone dealing with acne. A double edge safety razor is great in that you can do more shaving with less passes. This way you are scraping off less of the skin on your face and less likely to transfer the grime to open pores. If you are at all like me and are a bit follicle challenged, you might shave your head on a regular basis. Don’t shave your head with a double edge safety razor. Sure with great care and skill you might be able to get it down to a science, however, this is not recommended. Very rarely do I recommend cartridge based razors, in large part I never recommend them due to the price that they cost at the counter. Cartridge razors, especially like that of the Fusion ProGlide with the pivoting razor head works wonders when shaving your head bald. You see with the pivoting head, it can easily bend to the contours on your head making it really easy to get a close shave while also likely not getting nicked at all. Cartridge razors do shine in their safety ability. 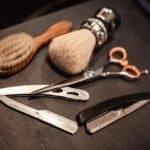 Therefore when shaving your head, you don’t have to worry about using a styptic pencil or alum block to help repair any damage you may have encountered while shaving. 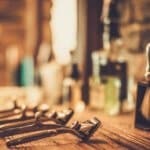 Alright this is by and far the biggest advantages when it comes to considering a double edge safety razor. The upfront costs for a double edge safety razor is higher than a cartridge razor. No I didn’t mistype that sentence! 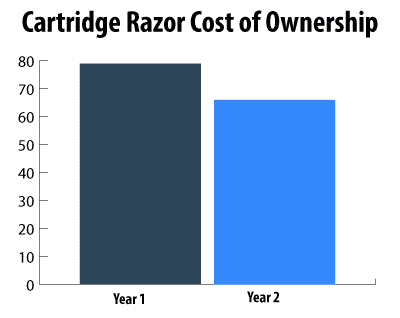 Let’s break down the costs for a cartridge razor first off. Not to bad – $12.59 for a razor handle that will likely last you a few years. How could you complain about that? Now of course this comes with one razor (which should last you about a month). But when the month comes to an end, about how much should you be plunking down of hard earned cash on a refill pack? So a quick division leads us to believe that the cost per refill is at $5.50 – not too bad. 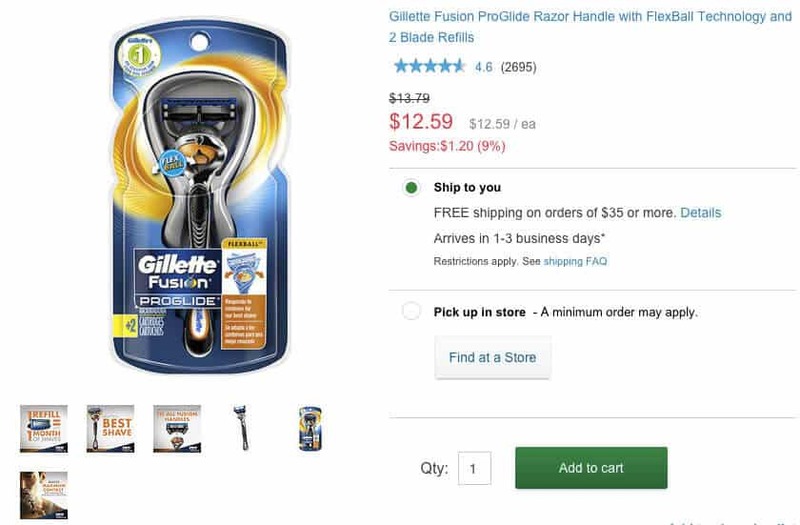 If we added this up for the course of the year (assuming you shave about 4 days a week – as noted by Gillette on their site) your looking at a total cost of ownership for the blades alone at $66. 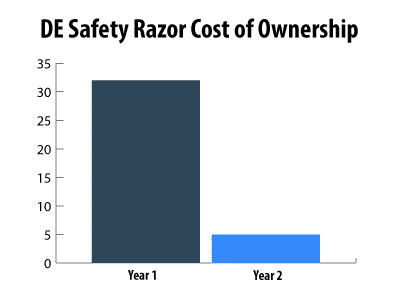 Lets now breakdown the costs of owning a double edge safety razor. Double edge safety razor handles are typically made from steel and are pretty much guaranteed to last you the rest of your life. Being that they aren’t made of plastic like the cartridge razor counterparts, you can easily clean them with abrasive cleaning materials and they will look brand new afterwards. Sure that’s nice, but what about the cost? For the Merkur double edge safety razor the current price is about $27. 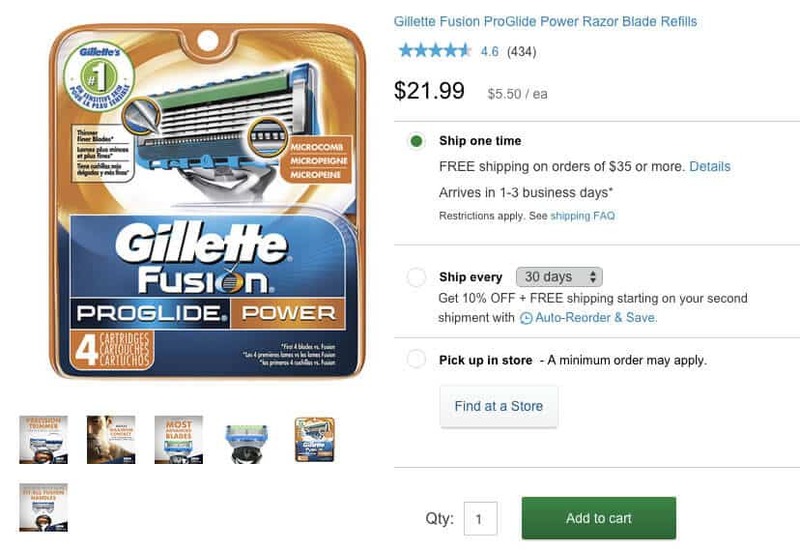 Nearly double the price of the cartridge razor counterpart. Again though, this is a one time cost that you will likely never have to pay for again the rest of your life. When looking at the razors needed for these razors there are quite a few that you can choose from Personna to Derby and Feather and Astra, everyone seems to have their own preference in blades. 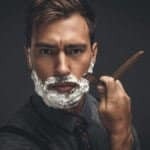 The beauty is though that the fitting for your double edge safety razor is an industry standard – the benefit to you is that you aren’t locked into one manufacturers razor blades and can easily shop around between them. 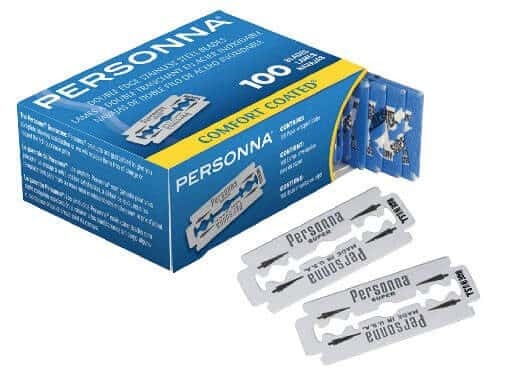 The cost for a box of 100 razor blades like the one pictured above will typically range between $10 and $20 bucks. A single side of a razor will typically last you around 5 shaves, of which will yield you about 2 years worth of shaving blades! Now that we broke down the initial ownership cost of both the cartridge razor and a double edge safety razor, lets compare the two. 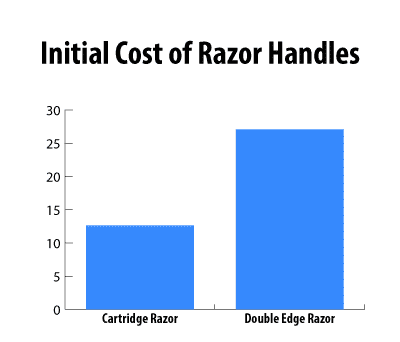 As demonstrated in the graph, the double edge safety razor handle is just over 2x the cost of a Gillette Fusion ProGlide. Let’s now compare the price of the blades for two years. As a disclaimer I distributed the price of the razors over two years since 1 box is expected to last that long. 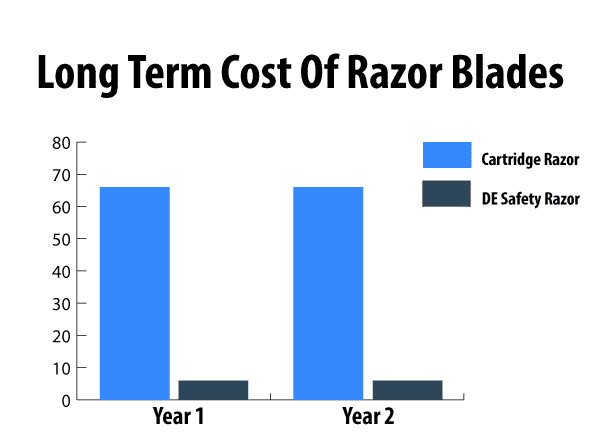 You can easily see above that the long term cost of a razor blade refills for a double edge razor is literally a fraction of the price when compared to a cartridge based razor! 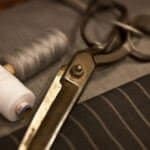 The costs that you put out for the handle are easily recuperated right away when considering just how long a box of razor blades will last you! Some guys take their shaving seriously! When considering a double edge safety razor you will see there are a fair share of accessories that go along with the handle and blades. However, with all the accessories, many of them have their own unique use that makes them an indispensable tool. For instance, a shaving stand doesn’t only make your double edge safety razor look great when sitting on the bathroom counter – in fact if you use a badger brush, putting the brush into the stand after every use will prolong the life of the brush and help it air out to prevent bacteria from growing in it. 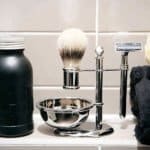 Whether you are using a cartridge razor or a double edge safety razor, the type of shaving cream that you can use can make a big difference in how your blade performs. 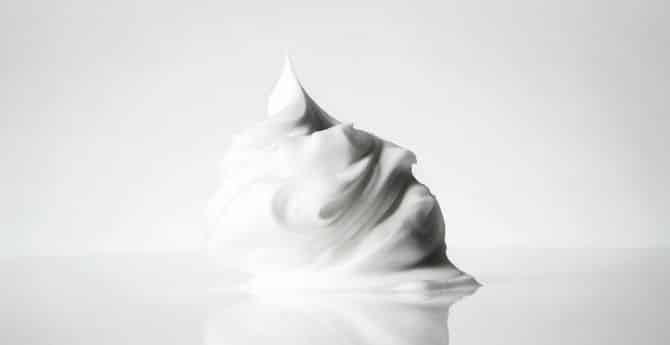 Also worth mentioning is that the some shaving creams give out an incredible scent that give you a nice wood scent that isn’t over bearing and subtle to the nose. 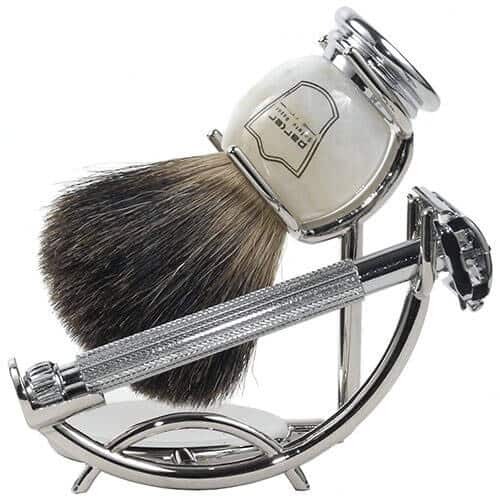 As mentioned just above, a shaving stand is a must have if you are going all in with wet shaving. 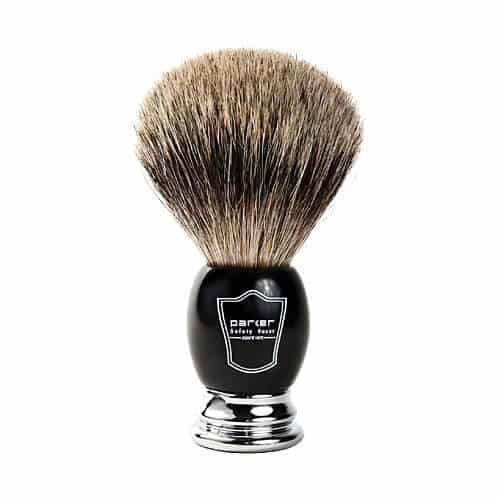 It can ensure that your double edge safety razor handle remains in prime shape while also prolonging the life of your badger brush significantly. Also it makes it a big more organized on the counter so you don’t accidentally mishandle your razor and nick yourself on the hand. If you decided to use a boutique shaving cream, you will most definitely want to get a badger brush to mix the cream itself. 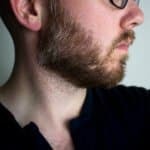 There are a few things to keep in mind when deciding between a cartridge razor and a double edge safety razor that I haven’t touched on yet. First off, if you are a traveler, or are at all taking business trips via planes – you cannot bring a double edge safety razor on the flight with you.In the post 9/11 world, TSA bans people from bringing on their razors to a plane. If you are out of town for only a day or two and only need a carry on, you will need to check your luggage. If you don’t shave that often, a cartridge razor may be better. If you only shave for the occasional wedding, job interview, funeral, etc, a 4 pk of cartridge razors might very well last you over a year. If that’s the case, that is likely the best deal for you. If your considering a double edge safety razor ONLY because of razor burn AND you need to shave every day, then they make sense. However, if you can get away without shaving and instead sport a 5 o’clock shadow, then a beard trimmer is your best choice. Being that your skin is easily irritated, avoid dragging a blade across your skin and opt for a trimmer that cuts hair just millimeters above the surface. Completely shave your head? Trust me, use a cartridge razor. You don’t want to chance nicking yourself with a double edge razor when going over your head. Cartridge razor will get the job done quicker. As a wrap up, if you are financially savvy, a double edge safety razor is by and far the best bang for your buck. When compared to a cartridge razor it simply is cheaper on the long term. After the first year along (only looking at cartridges costs), a double edge safety razor will run you only $6 annually. You simply can’t beat that any other way when compared to a cartridge razor. Lastly, and as always, if you have any questions drop me a line in the comment section below. Will be thrilled to hear from you!